Raise your hands who got a friend as generous and kind as George Clooney who could or had helped you in your rock times. The most handsome A-list movie actor George Clooney is one of those bestie who would extend his hand for his closest friends when in need. Rande Gerber, business partner and a very closest friend of Batman actor, disclosed the very kind gesture George Clooney had did in 2013. Gerber, a part owner of Clooney’s Casamigos Tequila revealed on a recent episode of MSNBC’s Headliners that back in 2013 George had gifted his 14 best buddies a bag of $1 million each including and he also paid his friends taxes for that year. Post dinner, George gave ‘The Boys’ group a black bag to each of them. After all the 14 friends opened and saw the bag is full with $1 Million, they were in state of “Shock”. George said, I have paid all the taxes for these gifts. Gerber also revealed that when he tried to return the money, George made this announcement, ” If Rande doesn’t take the million dollars, nobody gets” their money. Well, this was his solid trick so that no one can give it back to him. However, Gerber said he gave that money in charity. 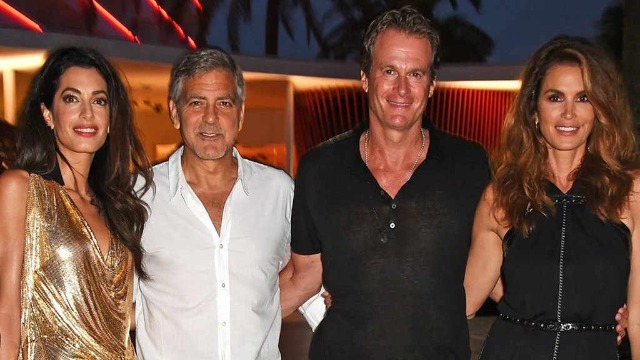 Rande Gerber and George Clooney are best buddies and co-partners owning Casamigos Tequila. Gerber told this never before heard story of George’s undisclosed kindness and gave us another reason to fall in love with this charming soul. “This is who George is. That was Sept. 27, 2013. Now Sept. 27, 2014, he marries Amal,” Gerber said. “That’s good karma right there,” said Gerber.